At 1st Choice Plumbing Heating & Air we regularly work with homeowners who end up with a plumbing emergency because they did not notice or act on the common plumbing problems in their homes. While we are happy to come out and help with any plumbing needs you have, we stress that getting issues taken care of sooner rather than later is always the easier, more affordable option. Following are five common plumbing issues that go ignored but would more wisely be addressed right away. If you are dealing with any of them, contact us at 866-437-0205 to set up an appointment. You are likely not surprised to learn that a blocked / clogged drain is the number one reason people call the plumber. However, you may be surprised to learn that clogs and blockage are not inevitable. In most cases, a homeowner noticed smaller clogs or blockages for months or even years before a serious block or clog occurred. All they needed to do was call 1st Choice Plumbing Heating & Air for help with drain cleaning services and they could have avoided the expensive, unsanitary conditions that often arise from a serious clog. If you notice puddles under your water heater then you should take action right away. When working correctly, your water heater should not have any water coming off of it. If it is leaking, you should reach out to a plumber right away. Otherwise you may end up losing a lot of hot water – which will run up your utility bills – and what could have been a simple repair may turn into a costly replacement. A dripping faucet could be a very simple, minor issue like a cracked O-ring. On the other hand, it could be the earliest sign that you have a much more serious plumbing issue behind the scenes. Either way, it is best to have a plumber take a look right away. Do not risk damaged caused by a hidden leak you can’t see, and do not waste money paying for water you are not using. This is a problem that is both aggravating ang expensive. A homeowner with a running toilet can end up seeing extremely high water bills. 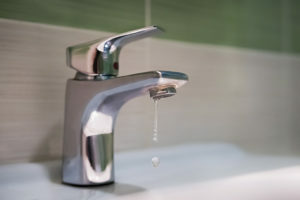 As is true of a dripping faucet, this could be a very simple fix that can be completed in minutes or it could be a sign of a bigger issue. Either way, it is going to be cheaper and easier to deal with sooner rather than later. If your pipes are wet or frosted when it gets chilly out then your pipes are getting too cold. There are steps we can take to prevent them from freezing, cracking, or bursting. Contact 1st Choice Plumbing Heating & Air at 866-437-0205 now to allow us to take a look and find the right solution.